Australia is a land that represents different things to different people; to some, the land down under is a distant and mysterious place punctuated with visions of kangaroos and coral reefs, while to others, the expansive outback and sharply contrasting city skylines stand out. For those who are truly close to Australia, however, there are scores of ways to think about the country, and the nation’s collective values often make up one of the most important. 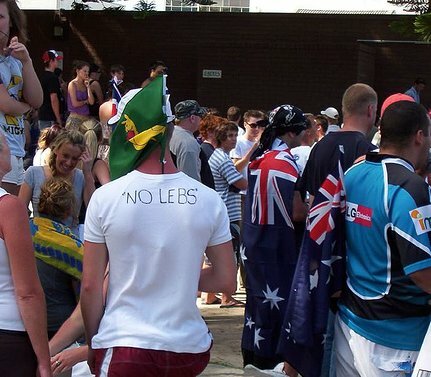 When newcomers venture to Australia for the first time, they may find national values strange and very different, or fairly familiar, depending on their place of origin. With a strong love of democratic government, a dedication to preserving the country’s unique customs, and a pioneering spirit that has helped to make Australia stand out among even the most populous and powerful countries in the world, Aussies aren’t especially quiet about their values, and immigrants may find the social and moral landscapes daunting at first. Of course, those who do not seek out citizenship and who lack the right to vote or to participate in many community discussions and other pertinent activities are likely to feel separated from Australian values. One of the most important benefits, in fact, of choosing to integrate with society through taking the citizenship test and deciding to apply for citizenship status is the ability to add one’s own ideas and priorities to the national landscape of values. Depending on the socio-political conditions of an original country of residence and the philosophies that have influenced a person over the course of their life, personal values can vary greatly, especially when people from around the world are centered in a given spot. Australia has long been recognized as a considerably diverse nation, as it attracts newcomers from the South Pacific and throughout the world. The great variety of opinions and ideals expressed by its people help to not only provide adequate representation of global values, but to provide checks and balances against dominant ideas and proposals. People who decide to take the Australian citizenship test and work through the citizenship application help contribute to this immense and important system of national values, but they are also likely to take on new values of their own as they integrate with local communities and gain a greater sense of what it means to be an Aussie. Through sharing common experiences with peers and getting to know the personal stories of others, new citizens may find that their values are influenced by life in Australia and by the things that have an impact on the country and its people. Serving both as ambassadors of international values and involved parties in the development and consideration of national ideals, immigrants who become Australian citizens are a significant part of the picture of Aussie principles, and can both influence and be influenced by this essential aspect of personal and social life. This article was posted in Australian Citizenship Benefits, Australian Life and tagged Australian Citizenship. The point is pretty obvious If you take the citizenship test, which implies you run for citizenship and accept being an australian for that moment on and so forth, you add value to the australian people. By contributing with your own values and taking the oath of becoming an Australian citizen. This is stupid. AT no level you agree to values just by siting the Australian Test. It is true that some values are inside the test content but there is a distance between the values you bring and the ones you country has. Just words people. What it the point??? Not sure if the text goes to a point or what…. Are you kidding me?!?!?. The guy in the picture has a sign that say’s No Lebs!!!! Are those Australian Values!?!?!?! @Achanacha, Australian values include freedom of speech, something most immigrants coming to Australia never enjoyed in their country. Yes, it is the freedom to ruin a perfectly good T-shirt.